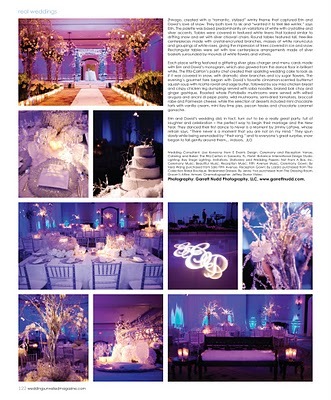 We are thrilled to be included in the current issue of Weddings Unveiled Magazine, as a part of Erin and David’s December, 2009 wedding at the Ritz-Carlton Sarasota. I must admit, I had little doubt this wedding would be published: It was absolutely gorgeous in every way, and captured beautifully by photograper Garrett Nudd. This wedding is also featured in our own Real Weddings gallery, with additional photos and details here. This entry was posted on January 5, 2011 at 6:08 pm and is filed under News & Press, Real Weddings & Events. You can follow any responses to this entry through the RSS 2.0 feed. You can leave a response, or trackback from your own site.